Smart Kitchen Online Cooking School, is making learning to cook easy and fun. Have you ever wanted to learn how to cook like a professional chef, to impress family and friends with your amazing cooking skills? No need to quit your day job, or spend hours in evening evening cooking lessons. You attend the online cooking school at a time that is convenient for you, with the streaming cooking lessons. In these lessons taught by professional chefs, you will emulate the training of a formal culinary school without the big cooking school expense. You can learn to cook like a professional chef with this affordable online cooking school in the comfort of your home, and at your own schedule that is convenient for you. You won’t pay $40,000 dollars here! The cost is reasonable at just $9.99 per month, and you can attend the online cooking classes a time that is convenient for your schedule, 24/7. Smart Kitchen online cooking school can help you achieve your goal of cooking like a professional chef, or at least being able to make dishes your family will love! How does the Smart Kitchen Online cooking school work? 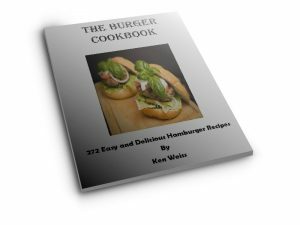 In the Beginner Level you will learn over 250 basic foundation cooking techniques taught into 8 online lessons. You then progress to the Intermediate Level, where you will master advanced food prep techniques, cooking methods and recipes, and and finally reach the Advanced Level with 100 lessons, where you will hone your cooking and food prep skills, the way a sous chef advances to become a head chef. You will follow text and video cooking lessons at your convenience in a series of lessons that builds on your new found cooking skills. If you need to repeat or restart a lesson, no problem. The cooking lessons are available to you 24 hours a day/7 days a week at the click of a mouse. These affordable online cooking classes are structured like a professional cooking school. You will get all the flavor of culinary school at home with Smart Kitchen online cooking school, without the big cost of those expensive culinary schools costing thousands per year. The advantage of attending an online cooking school is that you don’t have to give up your day job or make any changes to your schedule. You watch the cooking lessons online on your computer, tablet or smartphone at a time that is convenient for you, 24/7 365 days. Affordable at just $9.99 per month? You can complete the course in a few months or a year, that’s up yo you. With the Smart Kitchen online cooking school costing only $9.99 per month, you can learn how to cook at your convenience without spending $40,000 like you would at a full time cooking school. You will start with Beginner Lessons that includes 185 exercises, then progress to Intermediate Lessons where you will master 196 cooking skills, then finish with the Advanced Lessons that contains 107 professional culinary lessons. At $9.99 per month, that’s just pennies per lesson! Your online cooking classes at Smart Kitchen build on each other as your kitchen skills improve, rather than jumping from lesson to lesson blindly following recipes with no foundation. You can repeat classes and lessons whenever you need at no additional cost, if you need more time to perfect a skill or just want a brush up. If you have experience in the kitchen, you can refresh your cooking or food prep skills or just move ahead to lessons you need to learn. Since the Smart Kitchen online cooking school is taught online, you can watch them anytime at your convenience 24 hours a day. You can start or stop a lesson, re-start a lesson from the beginning or just replay a particular section if you need a little help mastering that technique. Who is Teaching the Online Cooking Lessons? Each online cooking lesson is taught by a Smart Kitchen instructor, who is also a trained chef. Some staff members are chef instructors at culinary schools, and some are working chefs. Either way, you are being from working professional chefs. No need to drive to a cooking school. Smart Kitchen brings the professional online cooking school to you, with hundreds of lessons taught online, in the comfort of your home at your schedule, not theirs. If you have some cooking skills you can move ahead in lessons, but it is recommended that you follow the cooking lessons in the order they are taught, so you gain all the skills needed for that lesson, particularly in knife skills and food preparation, which are the foundation for the more advanced lessons. If you need to reach the instructor to ask a question about the lesson, just click the “Ask the Chef” feature to connect with one of Smart Kitchen’s staff instructors. Are you a stay at home parent, and you wish you could learn to cook like a professional chef to make delicious and nutritious recipes for your family, but thought it was out of the question and out of your budget? Tired of making chicken or mac n cheese every day? With Smart Kitchen now you can make a variety of delicious and nutritious dishes your family will love! How Does Smart Kitchen Work? Can I Take a Free Cooking Lesson Before I Decide to Enroll? You can take a 7-day Free Trial of Smart Kitchen before deciding to sign up for the online cooking school. Your credit card will not be billed until the 7-day Free Trial is completed. If you after starting the free trial to Smart Kitchen, you decide this is not the online cooking school for you, just log into your account and cancel. You don’t have to call a 1-800 number where some customer service rep will pressure you to keep your account active. Smart Kitchen Online Cooking School is the most affordable professional online cooking school on the Web. They offer a monthly or yearly membership that gives you Unlimited cooking lessons 24/7. The monthly payment membership is just $9.99 per month. Start Learn to cook for just $9.99 per month here. The yearly membership is $99 per year, which is a 20% savings over the monthly membership. Start your yearly membership here. Are you giving Smart Kitchen Online cooking classes as a gift? You can purchase a membership from 1 month up to a 12 months for that special aspiring chef in your life. Hurry Deal is is ending soon! You can sign up here for a monthly membership to Smart Kitchen for just $9.99 a month. If you want you would like to kick the tires, no problem. You can sign up for 7 Day Free Trial here and what an online cooking school is like, and how you can learn how to cook at your own pace. This way you can try some free online cooking classes and see how amazing the Smart Kitchen Online Cooking Classes are before signing up for a membership. I tried the Groupon links and Groupon says “not yet available.” Do you know when they will be ready? Hi Deb, yes I see the Groupon link for Smart Kitchen cooking classes is not working. I will remove it for now, until they reactivate it.